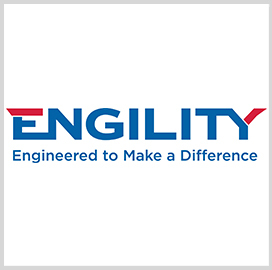 Engility (NYSE: EGL) reported a record book-to-bill ratio of 2.4x at $1.1B in net bookings and posted a revenue of $471M in the third quarter of 2018. The company said Wednesday those net bookings included contract awards worth approximately $550M within the intelligence segment; $320M within the space sector; and $235M within the defense industry. The Chantilly, Va.-based engineering services contractor recorded $42M in Q3 cash flow from operations and ended the quarter with $4B in total estimated contract value, up 9 percent from the same period last year. 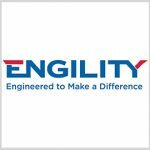 Lynn Dugle, Engility chairman, president and CEO, said third quarter results exceeded the company’s expectations, which she thinks could help the company attain organic revenue growth in 2019. Dugle also shared her views on the company’s planned merger with Science Applications International Corp. (NYSE: SAIC). “We believe this merger provides compelling value for our shareholders through an improved capital structure that supports additional organic and inorganic investment, an attractive dividend, an ability to participate in the upside from cost and revenue synergies, and an enhanced competitive position,” she noted. Earnings before interest, tax, debt and amortization was $38M in Q3 2018, accounting for 8 percent of revenue. The company’s adjusted EBITDA during the previous quarter was $44M, while its adjusted operating income reached $40M in Q3 2018. Tags book-to-bill ratio cash flow Contract Award EBITDA EGL Engility featured financial report govcon Lynn Dugle M&A Activity net booking organic revenue growth revenue SAIC Science Applications International Corp.